Music piped into multiple rooms is not a new thing, for decades people have installed speakers in rooms and connected them up to a central Hi-Fi amplifier using speaker cable. This kind of setup has several limitations but the biggest is definitely only being able to listen to one source in any room. Multi-room audio systems unlock features such as different music in different rooms and different volumes in different rooms. There are several ways to achieve this but here are the most common ways we provide multi-room music for our customers using Sonos. Contact Customised for your Sonos survey for new-build and existing homes. For this setup we install loudspeaker cabling to the room from the central wiring area. The choice of speakers is up to the homeowner but the most commonly used are in-ceiling speakers. At the central wiring area we install a Sonos Connect:Amp per room. The Connect:Amp has outputs for the speakers and an optional subwoofer output and inputs for a local audio source such as a CD player and an ethernet connection to access online music services like Spotify, Tunein Radio and Napster. 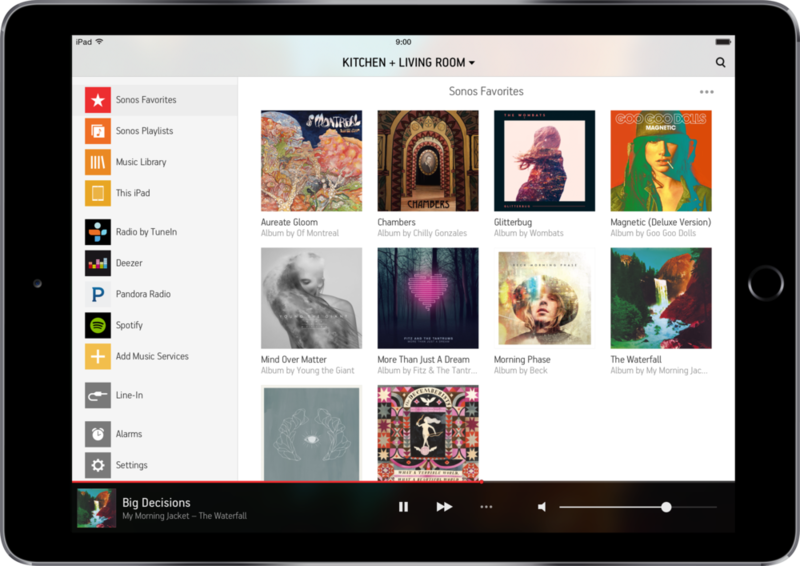 To control the volume, track selection or to change a radio station you use the Sonos app on your tablet or smartphone. No remote controls needed. 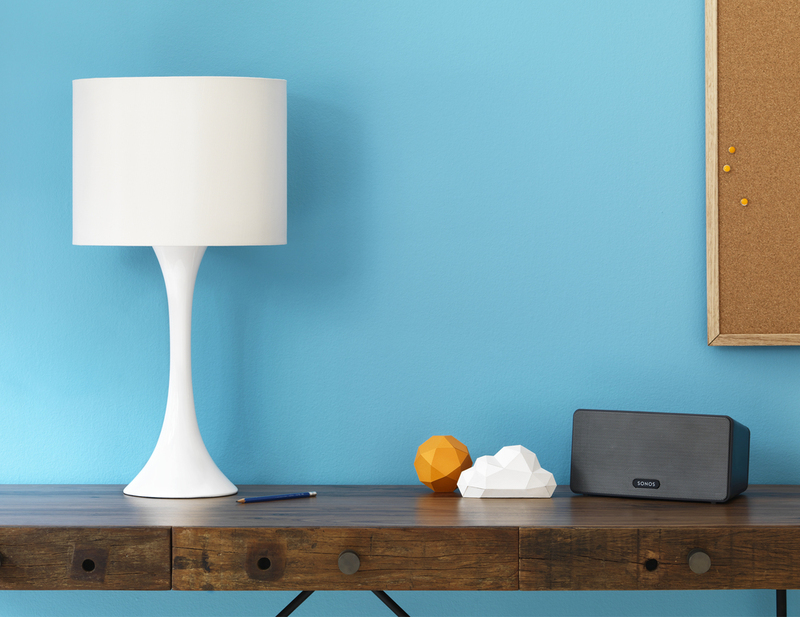 The easiest and most popular way to get music to every room is to have a room player in each room. A room player combines speakers and amplifier in one unit. Sonos have a player option for every size of room. For smaller rooms like bedrooms and the home office you should consider the Play1, larger spaces like dining rooms and conservatories should warrant the Play3 and the largest rooms in the house would benefit from the room filling performance of the Play5. 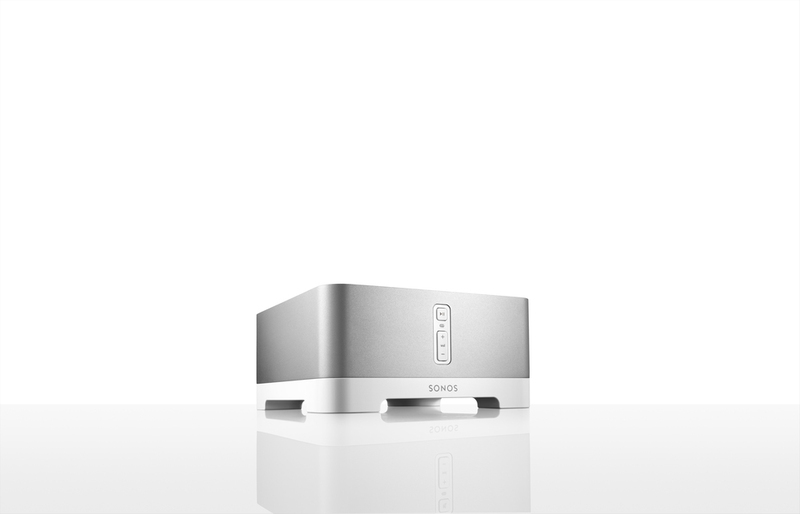 When demands are even greater then any of the Play range can be paired together to create a stereo pair and the Sonos Sub can take care of the low bass frequencies. The main advantage of room players is that no wiring is required other than a power socket. 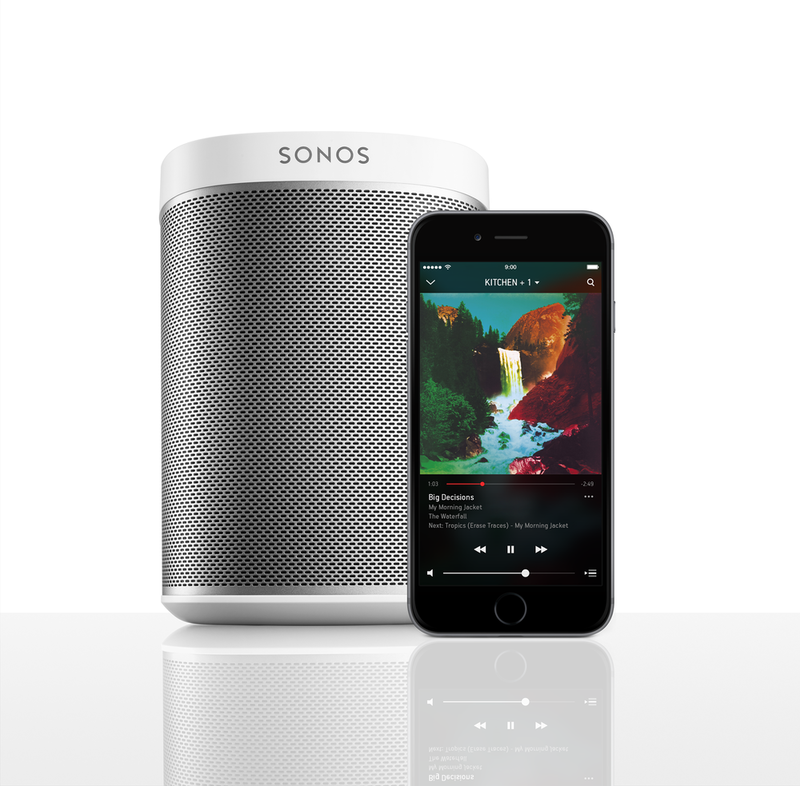 The Play range have wireless built in and also use the same excellent Sonos app for your mobile device.